Sir Paul is a retired judge of the High Court of England and Wales and is currently the Chairman of Marriage Foundation. 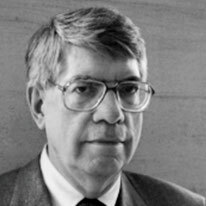 He was called to the bar at Middle Temple in 1970 and was in practice at the Queen Elizabeth Building from 1970 to 1985 and 1989 to 2000, serving as international legal adviser to Baron Hans Heinrich Thyssen-Bornemisza in Lugano, Switzerland in the intervening period. 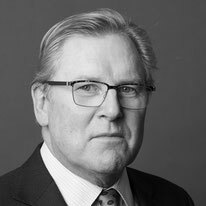 He became a Queen's Counsel in 1993 and was appointed a High Court judge in 2000 after 30 years as a family law specialist barrister, dealing with complex cases of family break up, especially those which involve children. He received a knighthood and was assigned to the Family Division. In 2012, Sir Paul established Marriage Foundation, a UK-based think tank which champions long-lasting stable relationships within marriage. The launch of Marriage Foundation is rooted in the vision and concern of Paul Coleridge. At Easter 2014 he retired from the High Court to concentrate on the work of Marriage Foundation. 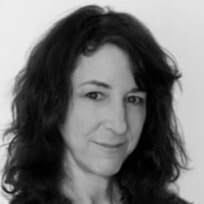 Dr Janine Braier is a consultant clinical psychologist with more than 30 years experience in child, adult and family mental health. 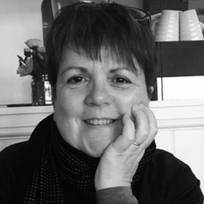 After qualifying and working in NHS teaching hospitals, including St George's, Charing Cross and St Bartholomew's, Janine spent 15 years as both a research psychologist and psychotherapist, working with parents experiencing a wide range of difficulties in caring for their children. Training CAFCASS, social work and legal professionals in psychological assessment in family proceedings, she has been an expert witness for the past 18 years, specialising in high conflict cases, offering assessment, psychotherapy, negotiation, child and family work for children and their families caught up in the emotional consequences of difficult separation. Dr. Baker is an internationally recognised expert in parent child relationships, especially children of divorce, parental alienation syndrome, and emotional abuse of children. She has a Ph.D. in Developmental Psychology from Teachers College of Columbia University. Dr. Baker's areas of research include parental alienation, child welfare, parent involvement in their children's education, early intervention, and attachment. She is the Director of Research at the Vincent J. Fontana Centre for Child Protection. She is the author or co-author of 8 books, including Adult children of parental alienation syndrome: Breaking the ties that bind (WW Norton, 2007), Working with alienated children and families (Routledge, 2013), Co-parenting with a toxic ex: What to do when your ex-spouse tries to turn the kids against you (New Harbinger, 2014), Surviving parental alienation (RI, 2017), Research methods in child welfare (Columbia University Press, 2008) and is the author of over 65 peer reviewed articles. William Bernet M.D. is a graduate of Harvard Medical School and is a professor in the Department of Psychiatry at Vanderbilt University School of Medicine. He is board certified in general psychiatry, child psychiatry, and forensic psychiatry. As an expert in forensic psychiatry, Dr. Bernet has testified in 15 states. Amongst other publications, Dr. Bernet has authored or co-authored Children of divorce: A practical guide for parents, therapists, attorneys, and judges (Krieger, 2007), Parental alienation: The handbook for mental health and legal professionals (Charles C Thomas, 2013), Parental alienation, DSM-5, and ICD-11 (Charles C Thomas, 2010). He recently co-authored An objective measure of splitting in parental alienation: The parental acceptance–rejection questionnaire (Journal of Forensic Science, 2017) which found that severely alienated children engaged in a high level of splitting, by perceiving the preferred parent in extremely positive terms and the rejected parent in extremely negative terms, whereas splitting was not manifested by the children in other family groups. Dr Hamish Cameron has been a pioneer in the field of parental alienation in the United Kingdom. 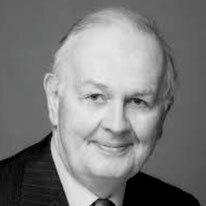 He worked as a consultant child psychiatrist for over 40 years, at St George’s and the Cassel hospitals, and in independent practice. 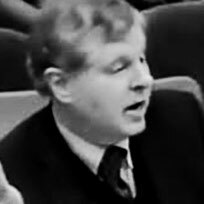 Instructed since 1973 by the Official Solicitor, CAFCASS and NYAS as an expert witness in family proceedings, he has lectured to family Judges throughout the British Isles on childhood suggestibility and children’s false beliefs, attachment, adoption and contact issues and alienation. He has acted as a court appointed expert witness in numerous parental alienation cases and has been at the forefront of efforts to have the problem recognised and understood within the UK. Since 1998, Dr. Dijkstra has led an agency dealing with violence within relationships. The agency, Bureau Dijkstra, offers research, education and advice to professionals, practitioners, managers and policy makers in many welfare, social and juridical sectors and educational organisations. The central aim of the agency is to gain an understanding of the risk of violence and of the possible ways to prevent its occurrence. 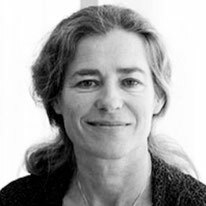 From 2007 until November 2014, she was a professor in Domestic Violence and Interagency Work at Avans, University for applied sciences. 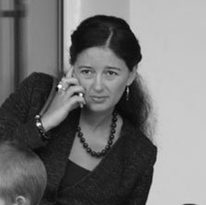 Sietske is a member of the Netherlands Institute of Psychologists and, as well as having published numerous research papers, her chapter Listening to children and parents: Seven dimensions to untangle high-conflict divorce was included in The United Nations Convention on the Rights of the Child: Taking stock after 25 years and looking ahead (Brill, 2016). Prof. Dr. Sc. Gordana Buljan Flander, Director of Child Protection Centre Zagreb, has spent thirty years of her careers on children. As a Pediatric Pediatrician at the Zagreb Children's Disease Hospital, she often met with abused and neglected children who did not have the necessary protection of adults. She was therefore one of the first to recognise this issue in Croatia in the early 90s and devoted her further work. She is the founder of the counselling line for abused and neglected children "Brave Phone" and the initiator of the establishment of the Child Protection Centre of the City of Zagreb, recognized by the Council of Europe as a model of good practice and thus presented at the UN. Prof. Dr. Sc. 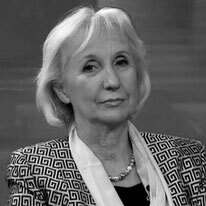 Gordana Buljana Flander is a recipient of numerous awards for her work, including the award to the Polyclinic multidisciplinary team awarded by the International Association for the Prevention of Child Abuse and Neglect (ISPCAN) in 2008. Along with her professional work, she has been actively engaged in scientific work and has also published numerous scientific and professional papers at international conferences and publishes books, manuals and brochures for parents, children and experts. Linda has had over 40 years education and experience providing clinical treatment services to families of all compositions, orientations, and in all developmental stages. She has treated the wide spectrum of problems, issues, and dysfunctional family interactional patterns that are challenging for families. She has expertise in emergency services that has included intensive, home-based, crisis-intervention to prevent the psychiatric hospitalization of a child. Since 2003, Linda has focused her clinical practice on families undergoing parental separation/divorce with the goal of facilitating the parents to develop a civil and respectful co-parenting relationship. This focus includes the highly specialized area of diagnosing for and treating parental alienation. Linda also provides consultation services on Parental Alienation and has served as an expert witness on such cases. She has been qualified in 17 states and 24 jurisdictions. The areas in which she has been qualified are: family therapy, family dynamics, alienation, estrangement, child abuse, and domestic violence. Judge Kujundžić has over 30 years of experience in judicial practice in the Municipal and County Court in Zagreb, as well as the Council for Youth of the Supreme Court of Republic of Croatia. She is currently working at the County Court in Zagreb as first and second-instance of the Court Council for Youth, the President of the Department for Youth, and the President of the Association of Judges for Youth, Family Judges and Specialists for Children and Youth in Croatia. She is the author of twenty scientific papers and a book on children’s rights, is an active member of the Commission of the Ministry of Justice and Ministry of Social Policy and Youth, related to rights of children, as well as being a member of the Ethical Commission of the Child Protection Centre in Zagreb and the Psychiatric Hospital for Children in Zagreb. 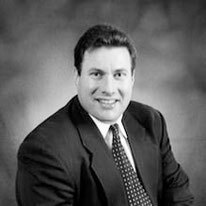 In addition to running his own successful law firm, LudmerLaw, Brian Ludmer is an engaging and passionate speaker frequently called upon to speak at business law continuing education and industry conferences as well as for family law and parenting organisations internationally. 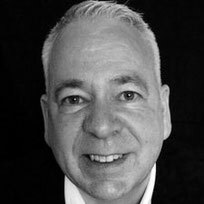 Brian is an advisory board member to the Parental Alienation Awareness Organisation and the International Support Network for Alienated Families, as well as a co-founder of Lawyers for Shared Parenting. Brian was one of the drafters of Canada's proposed equal shared parenting legislation, Bill C-560. Dr Miller holds degrees in psychology and medicine. He presently specialises in behavioural and forensic medicine in Cambridge, MA. For 30 years, he was a clinical instructor in medicine at Harvard Medical School and presently does consulting work through the Massachusetts Medical Education Group, LLC. His medical interests include clinical reasoning and medical decision making, and his professional focus includes parental alienation and other types of pathalogical alignment. His presentation to the international PASG 2017 conference in Washington DC, Overview of Alienation Science: Where We’ve Been, Where We Are, and Where We’re Going, provided a balanced perspective with respect to key scientific and clinical issues, distinguishing between what is evidence-based and what is not evidence-based and between genuine controversies and those that reflect scientific, clinical, or other misunderstandings. His paper proposed an evidence-based approach that reflects the current clinical science. 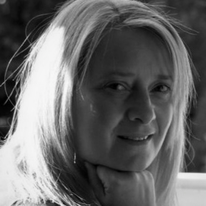 Dr Simona Vladica is a psychologist working in Bucharest. She is an author, an authorised mediator and is a member of the Faculty of Psychology, Universitatea Ecologica din Bucuresti. 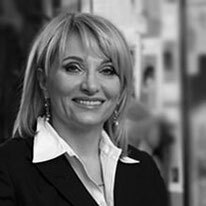 Dr Vladica is the head of Health Media Group in Romania, a communications and public relations company dedicated to education and health care, and head of Department of Communications and PR, Carol Davila University of Medicine and Pharmacy. She is also a representative of the Professional Body of Mediators at Bucharest Court of Appeal. 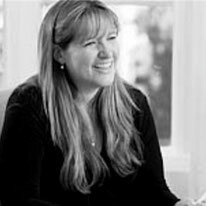 Andrea Watts is a specialist in public, private and international children cases. She appears in the Family Court, High Court and Court of Appeal on a regular basis and in proceedings across England and Wales. Andrea is also an experienced mediator in children cases. She regularly acts for local authorities, parents, extended family members and children in care proceedings and applications for adoption orders, including leave to oppose applications. She is experienced in dealing with complex cases involving very serious harm, sexual abuse and chronic neglect. Andrea is qualified as a vulnerable witness advocate through the Inns of Court College of Advocacy and advises and acts for parents, extended family members and children in all types of private children matters. She has particular interest and expertise in cases involving the following serious allegations of physical, emotional and sexual harm, mental ill health, relocation applications (both international and internal) and international child abduction. 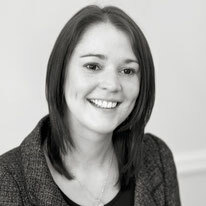 Francesca Wiley practises in both private and public law Children Act and inherent jurisdiction Wardship cases where there are profoundly serious allegations against parents, carers and Local Authorities. She is ordinarily instructed at High Court and Appellate level but undertakes cases in every tier of court if needed. She accepts instructions via direct access in both private and public law cases and specialises in cases where there have been allegations of serious harm. Francesca also undertakes very many cases where an opposing party may have profound and as yet undiagnosed personality difficulties. Her recent case load has involved very serious cases of parental alienation. 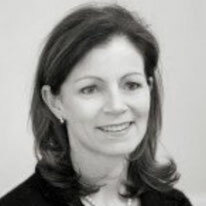 In 2016, she wrote Serious parental alienation: The approach of the courts and practitioners (Family Law Week) which provided clear guidance for legal practitioners when dealing with cases of parental alienation..
Karen Woodall is the lead therapist at the Family Separation Clinic and is a specialist in working with high conflict divorce and separation and its impact on children. She is a psychotherapist with over twenty years experience in working with parents and children affected by family separation and is currently completing a Ph.D in psychology and psychotherapy. 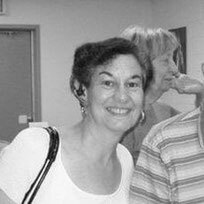 Karen is an internationally recognised expert on children’s post-separation rejecting behaviours and the phenomenon of the alienated child. She is also an author and blogger and regularly writes for the Huffington Post on issues that affect the family. Her doctoral thesis is on parental alienation and she has co-authored Understanding Parental Alienation (Charles C Thomas, 2017) and The Guide for Separated Parents (Piatkus, 2007) with her colleague, Nick Woodall. Nick Woodall has worked with families experiencing divorce or separation since 1999 and co-founded the Family Separation Clinic in 2010. He has specialised in parental alienation for a number of years. Nick is a psychotherapist and is currently completing an MA in psychodynamic, psychoanalytic and relational psychoanalytic Counselling at Goldsmiths, University of London. He is also a therapeutic mediator, accredited by the School of Psychotherapy & Counselling Psychology, Regents University. Nick has worked on family separation policy and service design for the UK Government and is the co-author of Understanding Parental Alienation (Charles C Thomas, 2017) and The Guide for Separated Parents (Piatkus, 2007) with his colleague, Karen Woodall.